This is part one of a three-part report from Chile and Argentina. There are links to Part 2 and Part 3 at the end of this article. The take home message from my first visit to South America in five years? It could be summed up in two words: ‘earth’ and ‘elegance’. 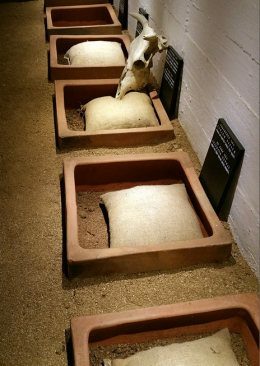 Within a few of hours of stepping off the plane in Santiago de Chile I was staring into my first ‘calicata’, a deep inspection pit dug between rows of vines. The calicatas tell the winemaker so much about their vineyard plot, not just the intimate cross-section detail of the soil structure, but root depth and direction of travel, and a visual map of how irrigation water travels into the ground. It is the most rudimentary tool amongst a battery of more high tech methods that are allowing the winemakers of Chile and Argentina to really understand the earth in which their vines are planted, yet all of these techniques were unknown a decade ago. 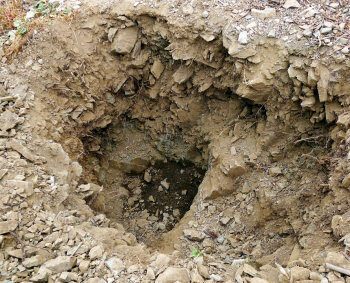 What’s so important about a hole in the ground? 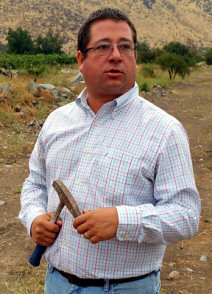 The calicatas are leading to massive changes in the vineyards of both countries. At Viña Santa Rita’s 600-hectare estate in the Maipo Valley a thousand have been dug, and electromagnetic mapping of the entire vineyard has revealed hitherto unknown data about what lies below the surface: in some, 30 centimetres of sand overlies a deep, almost impenetrable layer of clay, whilst in others huge, rounded alluvial stones go down for two metres of depth. This is crucial to understanding which varieties are best suited to the soils, how much irrigation water will be needed, and what style of wine can be expected. It seems like such fundamental information, but these vineyards were designed 40 years ago by engineers whose priority was to create highly productive farming conditions that could be managed with maximum efficiency, not necessarily wine quality. 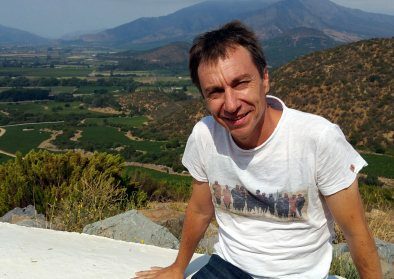 As I was to learn, Santa Rita is embarking on possibly the biggest vineyard investment in Chile’s history: over the next few years 520 of the 600 hectares will be go through the same process in a 20 million US dollar programme: being mapped, ripped out, completely redesigned, and replanted in pursuit of quality. My Chilean tour began in Panquehue, in the heart of Aconcagua. I last visited Errazuriz’s main estate six years ago, when their striking, state of the art premium wine cellar was being constructed. Chief Winemaker Francisco Baettig met me with a glass of iced water in the 30°C heat, and we strolled past their lovely Syrah vineyard with its ‘mini-Hermitage’ densely planted bush vines supported on a single post, to the now fully operational winery where their ‘icon’ wines like Seña and Viñedo Chadwick are made. Next morning we travelled to Errazuriz’s newest project at Chilhué, a sizeable vineyard in an area known as Aconcagua Costa, many miles west of Panquehue and within 12 kilometres of the Pacific. Recently there has been a great emphasis on coastal vineyards in Chile, with pioneering Casablanca being joined by Leyda, San Antonio, Limari and more. Rather than plant in these hip and happening regions, Errazuriz have stuck to their home valley of Aconcagua, but so much further west, where 230 hectares have been planted between 2005 and 2009. It is a notably cool and cloudy zone compared to the heat of inland Aconcagua, and calicatas here reveal some very interesting soils like this deep slate vineyard. Whilst the more common alluvial rocks don’t release a lot to the soil, slate does, and provides very good drainage. A leading French geologist was employed for several weeks to map the soils in immense detail, to try to guess where the future ‘village’, ‘1er Cru’ and ‘Grand Cru’ soils might be, very much like a chart of Burgundy soils that Francisco brought along to illustrate his task. The project is not finished, but between the geologist’s preliminary work and existing experience, the Pizarras project could begin. Initially there are just 200 cases of Chardonnay and 300 cases of Pinot which will be shipped to the UK in March 2016. My next stop was at Seña, launched in 1995 as a joint venture between Eduardo Chadwick and Robert Mondavi of California, an instant success and arguably Chile’s first global icon wine. When Mondavi was bought by Constellation Wines in 2004, Chadwick acquired sole ownership. Today Seña is made from 100% estate-grown fruit (though for now, the wines are made at Errazuriz), though that wasn’t always the case, those early vintages being made from a selection of Errazuriz’s best grapes. 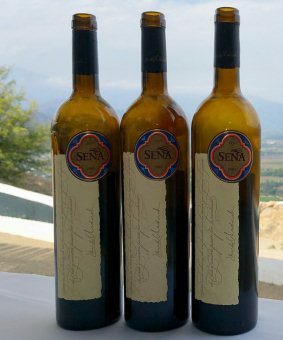 The Seña estate was bought in 1999 and planted with Bordeaux varieties, today producing just 5,000 cases. One thousand go direct to the UK, one thousand are retained for later release, and the remaining three thousand go to the Place de Bordeaux, and a group of Bordeaux négociants who sell the wine on through their own networks. Originally 100% Cabernet Sauvignon, Seña is now a blend of Bordeaux varieties including Carmenere. It is also grown and made biodynamically, with its own biodynamic garden and preparation centre at the vineyard (left). Those vineyards rise from around 500-metres to 800-metres on the coastal mountain foothills, very poor soils that are well drained and enjoying cooler conditions that can still achieve full ripening of Cabernet Sauvignon. My final stop on the Errazuriz grand tour was at the bespoke winery of owner Eduardo Chadwick, the 5th generation of winemaking Chadwicks, a family that originally came from Staffordshire in England. They were true pioneers of quality wine at their Finca San Jose, part of which is today Viñedo Chadwick, the other part was sold to Concha y Toro – stretch through Chadwick’s side gate and you can almost touch the vines of Almaviva. Eduardo’s father was captain of the Chilean polo team with his own polo field and stables within the Finca. When Eduardo took over he removed the polo field and planted vines. His father died just three years later, and so Viñedo Chadwick is named in his honour. Planted mostly with Cabernet, other Bordeaux varieties make up an additional two hectares. We strolled around the vineyard where wild flowers cover between rows, in a deep alluvial soil with half a metre of loam over lots of river stones. The Yield is a lowly 35hl/ha, and the vines are a massal selection, planted on their own roots. 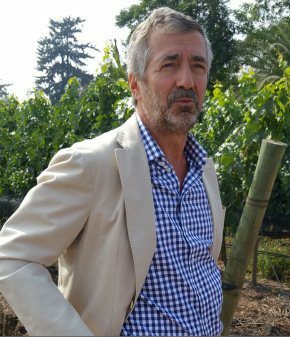 A new vineyard has been planted in a different direction – another remnant of the early pragmatic agronomists, the old polo field block was planted purely to take advantage of a gentle slope that allowed flood irrigation. Drip irrigation in the new vineyard means it can be planted north-south to avoid sunburn. Nice, well-written pieces. Nice to see coverage of some of the newcomers as well as the more traditional wineries. Many thanks Helen – and indeed there are many more exciting small producers – I can’t wait to go back!